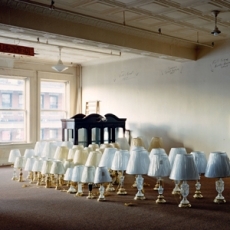 Jeff Brouws, Tim Davis, William Eggleston, Mitch Epstein, Robert Frank, Lee Friedlander, Allen Ginsberg, Frank Gohlke, Bette Gordon & James Benning, Ernst Haas, Todd Hido, Jodie Vicenta Jacobson, Lisa Kereszi, Justine Kurland, William Lamson, Dorothea Lange, Danny Lyon, Nathan Lyons, Christian Patterson, Ed Ruscha, Lise Sarfati, Victoria Sambunaris, Stephen Shore, Mike Smith, Rosalind Solomon, Alec Soth, Mark Steinmetz, Joel Sternfeld, and Garry Winogrand and others. Jeff Brouws, Route 248, Four Buttes, Montana, 2004, 20 x 24 inch Archival pigment print, Signed, titled and dated in pencil on verso, Edition of 20. Also available as 40 x 47 inch print. This unprecedented exhibition addresses and complicates the many realities, fantasies and myths that have long captured the public's imagination about the American South. Presenting a wide range of perspectives, from both within and outside of the region, the exhibition creates a composite portrait of southern identity through the work of 60 artists. Shifting Baselines: Texas Gulf Coast is a studied visual consideration of the culture, environment, and history of the Texas Gulf coast. 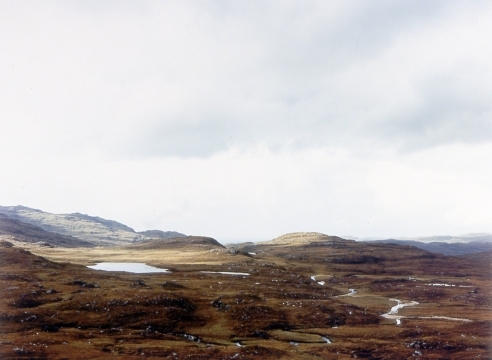 Viewers are invited to consider their own notions and questions about landscape, our place within it, and the individual and collective involvement in shaping and stewarding it the way we do. "…the first major exhibition to use visual art as a lens to explore the lure that Coney Island exerted on American culture over a period of 150 years. 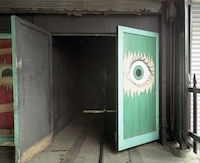 An extraordinary array of artists viewed Coney Island as a microcosm of the American experience, from its beginnings as a watering hole for the wealthy, through its transformation into an entertainment mecca for the masses, to the closing of Astroland Amusement Park following decades of urban decline." 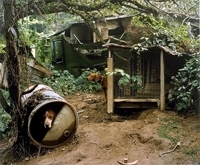 The Nevada Museum of Art presents a selection of approximately 40 large scale, color photographs surveying Sambunaris' work. Chronicling the impact of human interference with the landscape of United States, her cross-country exploration is meant to be one "transcendent of political, ethical, or environmental ideology". 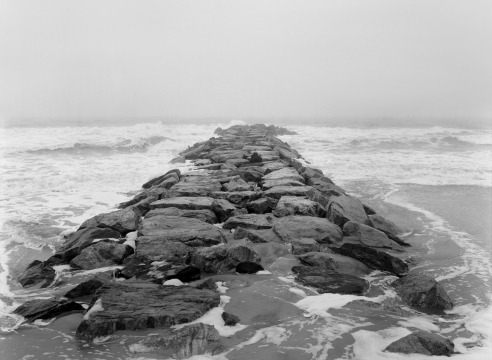 Victoria Sambunaris: Taxonomy of a Landscape runs from February 7th – May 3rd, 2015. Read more. 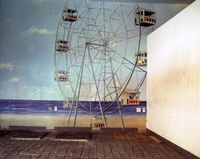 Work by Lisa Kereszi is included in the show Coney Island: Visions of an American Dreamland, 1861-2008 on view now at the Wadsworth Museum of Art in Hartford Connecticut through May 31st, 2015. This multimedia show chronicles the rise and fall of the "World's Greatest Playground" located on the shores of Brooklyn, New York. Kereszi's color photographs from the early 2000s document the final stages of the park's decay through her focused attention to often overlooked details. Read more. Work by Victoria Sambunaris is included in the exhibition Desert Serenade: Drones, Fences, Cacti, Test Sites, Craters and Serapes, on view through August 31 at the Lannan Foundation Gallery in Santa Fe, NM. The group exhibition features work by Sambunaris, Trevor Paglen, James Turrell, Renate Aller, Subhanker Banerjee, Tom Miller, and Emi Winter. The gallery will host an artist's reception on Saturday, August 9 from 5-7pm. Lisa Kereszi's exhibition, Joe's Junk Yard & Other American Dreams, curated by Rebecca Soderhold, is on display through October 11 at Drew University's Korn Gallery. 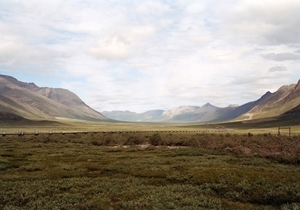 Victoria Sambunaris: Taxonomy of a Landscape is on view currently at the Museum of Contemporary Photography, Chicago through March 31, 2013. A public reception with the artist will be held at the museum on February 7 from 5-7pm. The exhibition originated at the Albright-Knox Art Gallery in Buffalo, NY and is generously supported by the Lannan Foundation, Santa Fe, NM. 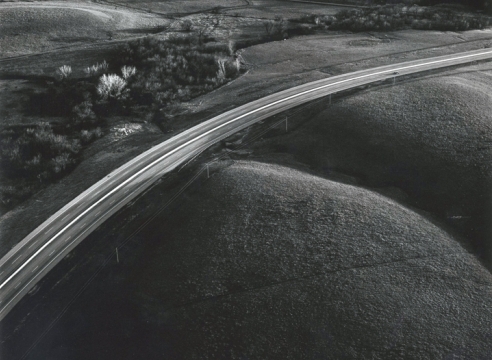 Mark Steinmetz will participate in the Photographer's Lecture Series at the International Center for Photography on March 27, 2013 from 7-9pm. Tickers for the lecture are limited and are available through ICP. 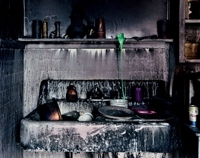 Lisa Kereszi's solo exhibition, The Party's Over, will open at Yancey Richardson Gallery on May 24, 2012. 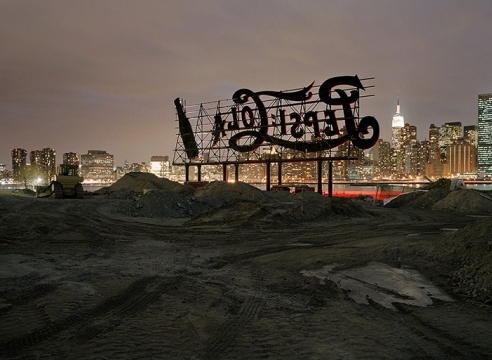 Her work is currently on display in Beyond Words: Photography in the New Yorker, at the Ullens Center for Contemporary Art in Beijing, China from April 15 – June 10, 2012. Additionally, Kereszi's 4th book, Joe's Junk Yard, will be published by Damiani this Fall, and distributed by DAP. A solo exhibit, Joe's Junk Yard, will be on display at Metronom in Modena, Italy from September 14-16 as part of the Festival Filosofia. Mark Steinmetz has released three new books in 2012, including Summertime, published by Nazraeli, idyll (with Raymond Meeks) and pastoral, both limited edition books published by Silas Finch. In 2011, TBW Books published Philip and Micheline, a book about the artist's parents. Additionally, Steinmetz's book The Ancient Tigers of My Neighborhood (Nazraeli) was nominated by Robert Adams as a best book of 2010 at the Kassel Photobook Festival. Mitch Epstein recently collaborated with cellist Erik Friedlander on a limited edition LP based on music composed for a presentation Epstein made last summer at the Arles Photography Festival. 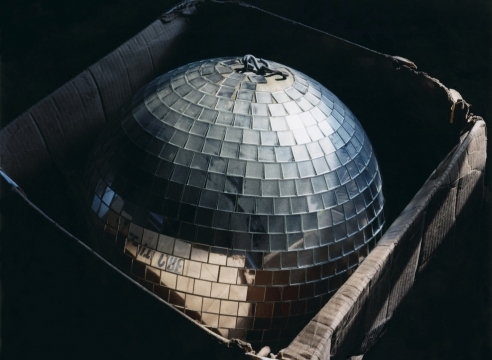 Additionally, Epstein and Tate Museum curator Simon Baker will discuss Epstein's photography as a part of the Prix Pictet Conversations on Photography, at Whitechapel Gallery in London on Saturday, May 12 at 4:30 pm. Work by Victoria Sambunaris will feature in the upcoming exhibition, Photography in Mexico: Selected Works from the Collections of SFMOMA and Daniel Greenberg and Susan Steinhauser, on display at SFMOMA from March 10 – July 8. 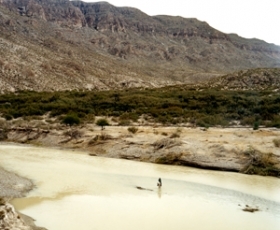 Work from Sambunaris' acclaimed series The Border is included in the exhibition, which explores the rich and diverse tradition of Mexican and international photographers working in Mexico since the 1920s. Mike Smith was recently selected as a United States Artist Fellow, one of 50 American artists working in the performing, media, visual and literary arts to receive a $50,000 grant from the organization USA Fellows. Smith is one of only six visual artists to be selected as a USA Fellow this year. Victoria Sambunaris' first solo exhibition at a major American museum opened on Friday, October 21 at the Albright-Knox Art Gallery in Buffalo, NY. 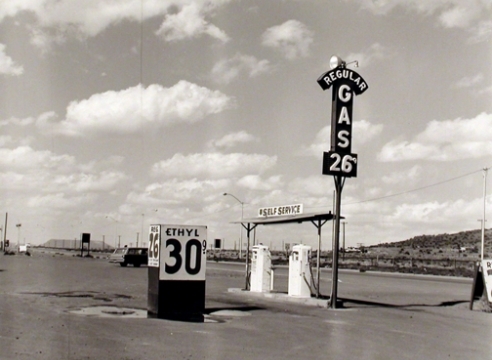 Presented in conjunction with the Lannan Foundation in Santa Fe, NM, the exhibition, Taxonomy of a Landscape, features over forty works from the artist's wide-ranging examination of the American landscape at the intersection of civilization, geology and natural history. The exhibition also includes a comprehensive archival installation recording the artist's travels. 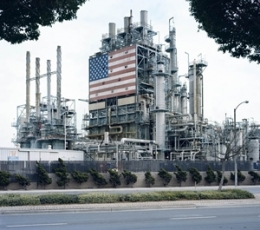 Mitch Epstein's acclaimed series American Power is the subject of a solo exhibition at the Musee de l'Elysee, Lausanne, Switzerland through November 20. 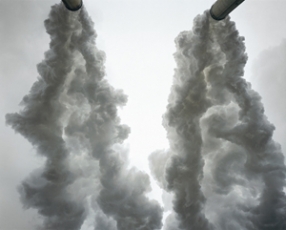 Epstein was awarded the prestigious Prix Pictet Photography Prize for American Power, a series that examines the production and consumption of energy in the United States and its impact on society and the American landscape. 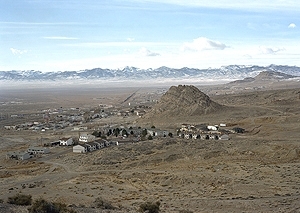 Gallery artists Olivo Barbieri, Mitch Epstein, and Victoria Sambunaris are included in The Altered Landscape: Photographs of a Changing Environment at the Nevada Museum of Art, opening September 24th and running through January 8, 2012. 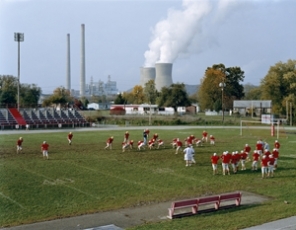 Mitch Epstein's acclaimed series American Power is currently on display in Paris at the Henri Cartier-Bresson Foundation, through July 24, and is also included in New Documentary Forms at the Tate Modern in London, through March 31, 2012. 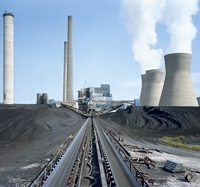 Kofi Annan, Honorary President of the Prix Pictet, announced Mitch Epstein as the winner of the third Prix Pictet photography prize for environmental sustainability. Victoria Sambunaris has been named a recipient of two major artist grants from Anonymous Was a Woman Foundation and Aaron Siskind Foundation. 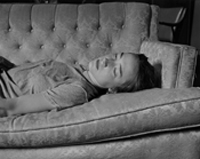 For more information about the Anonymous Was A Woman Awards, click here, and the Aaron Siskind Foundation, click here. Photographs by gallery artists Mitch Epstein, Alex Prager, and Bertien van Manen are currently on display in Embarrassment of Riches: Picturing Global Wealth, a new exhibition at the Minneapolis Institute of Arts, open through January 2, 2011. Allure, Lisa Kereszi's solo show at Hagedorn Foundation Gallery opens September 30th. The artist will be present the evening of the opening for a gallery talk. Kereszi is also participating in Group Shows at Biblioteca Civica d'Arte Luigi Poletti during September, at Showtime Show House (Cassa, Gramercy Park, NYC) through October 22nd, at Gallery Out of Place (4-14-2 3F Minamiazabu Minato-ku, Tokyo, Japan) through October, and at Pool Gallery in Berlin from Nov. 19- Jan. 15, 2011. 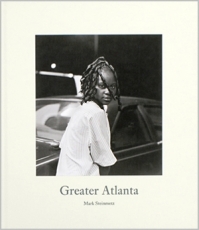 Completing his trilogy, South, which includes previous books South Central and South East, Mark Steinmetz releases Greater Atlanta by Nazraeli Press. Widely praised, Greater Atlanta was nominated as one of the best books of 2009 by Photo-Eye book critics, right after Looking In: Robert Frank's The Americans, Expanded Edition. Epstein's latest project tackles one of the most loaded issues on the nation's agenda: what and who powers America? American Power is Epstein's portrait of early twenty-first-century America, as it clings to past comforts and gropes for a more sensible and sustainable future. Mitch Epstein's works Dad, Hampton Ponds III, 2003 and Apartment 304, 398 Main Street, 2001 were recently acquired by the Brooklyn Museum are on now on exhibit at the museum in Extended Family: Contemporary Connections. 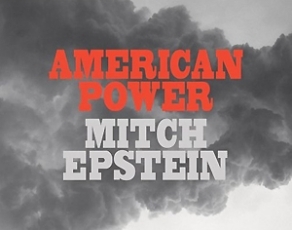 Steidl has also recently released Epstein's 9th monograph, American Power. 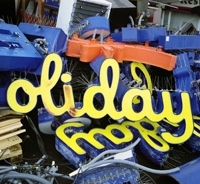 Lisa Kereszi's monograph Fun and Games will be released in September 2009 by Nazraeli Press. 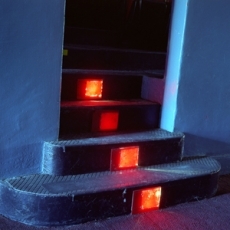 Titled after the name of a Jersey Shore arcade and the Ancient Roman wrestling phrase, "It's all fun and games, until someone loses an eye," the book documents the artist's self-described obsession with what is hidden behind the facades of strip clubs, haunted houses and nightclubs and other places of fantasy and entertainment. Opening September 8, 2009, the Hermes Foundation Gallery at 63rd and Madison, NYC will present Terra Firma, an exhibition of Vicky Sambunaris's recent work exploring geologic hot spots in the American West. This summer Sambunaris was also the subject of solo exhibition an the Lannan Foundation in Santa Fe, NM. 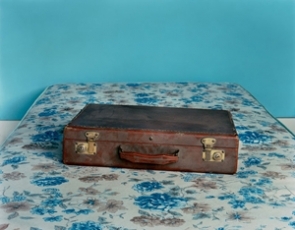 Victoria Sambunaris and Christian Patterson have been nominated for the 2009 Baum Award for Emerging American Photographer. Lisa Kereszi was the 2005 recipient. 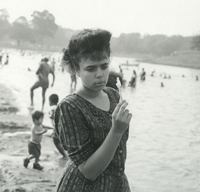 Mark Steinmetz's new book Greater Atlanta, his third with Nazraeli Press, will be released in Fall 2009. The Yale Art Gallery recently acquired a group of Steinmetz's works from the edition for their collection.